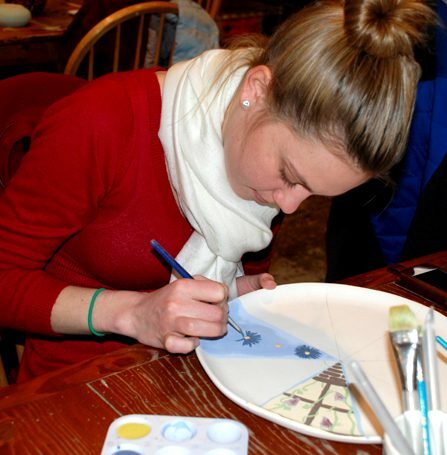 Know someone who can’t get enough of painting pottery? We offer gift certificates in any amount. These are available at both of our locations. We can also mail gift certificates to anyone you like. Just call the studio, make the payment over the phone and we will mail the gift certificate to the recipient. 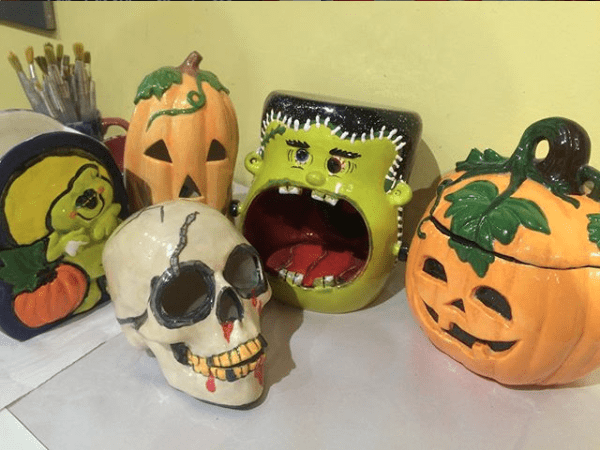 Give all your friends hand painted pottery this coming holiday. You can paint dishes to match their homes or a unique design for their specific interests. You can even paint a personal message on the back. What better way to say “you’re special” than a homemade gift from the heart. 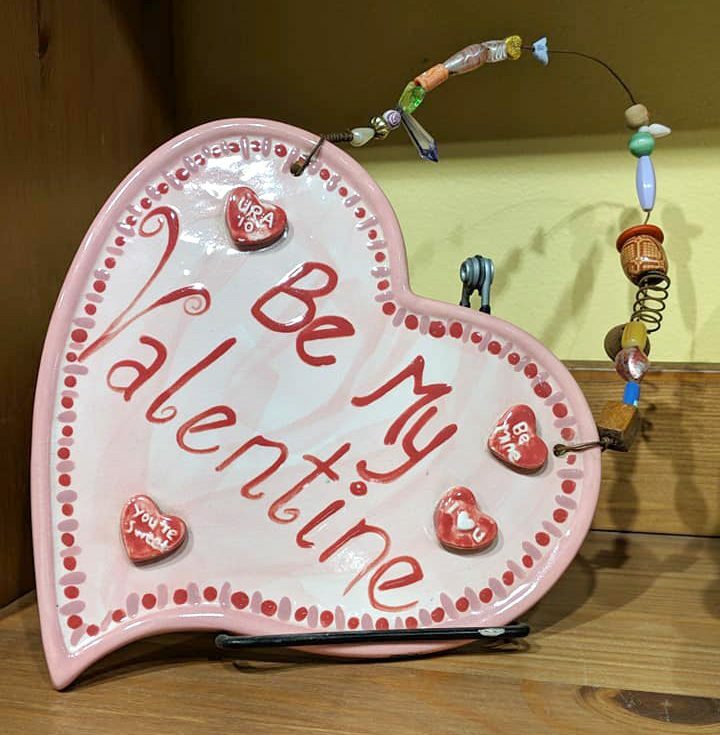 Candy is dandy, but nothing says “I Love You” like hand-painted pottery! Guaranteed to be non-caloric and won’t promote tooth decay. Create spook-tacular designs to send shivers of delight down the spines of your favorite ghosts and goblins. Everyone’s Irish for at least one day of the year! All Fired Up can help you get in touch with your inner fun-loving leprechaun. We have plenty of different shades of green paint, too! 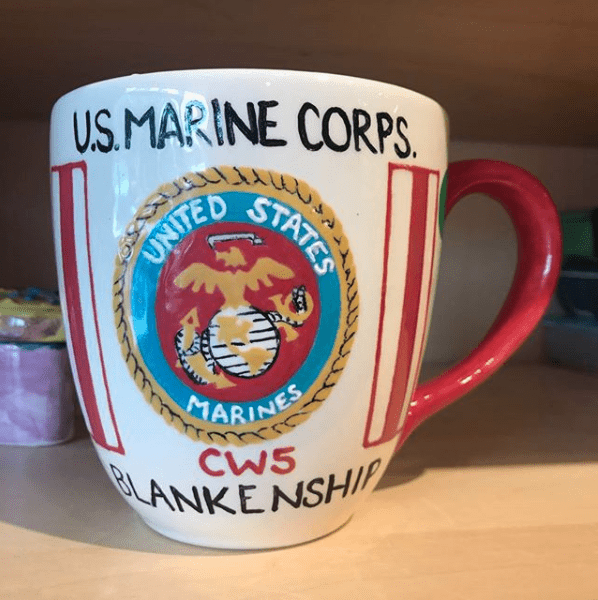 How about painting them a piece of pottery. You can put the date of their wedding and their names and/or paint a beautiful design. It’s up to you, let your imagination loose on a gift that will be forever treasured. Have someone you want to thank for being so wonderful? Have the whole class or team sign a platter or large pasta bowl. You can paint the school’s logo or an original design and a personal “thank you” message on the back. The piece can be used it as a snack platter or displayed on their mantle. Either way it will be a meaningful and constant reminder of the group.